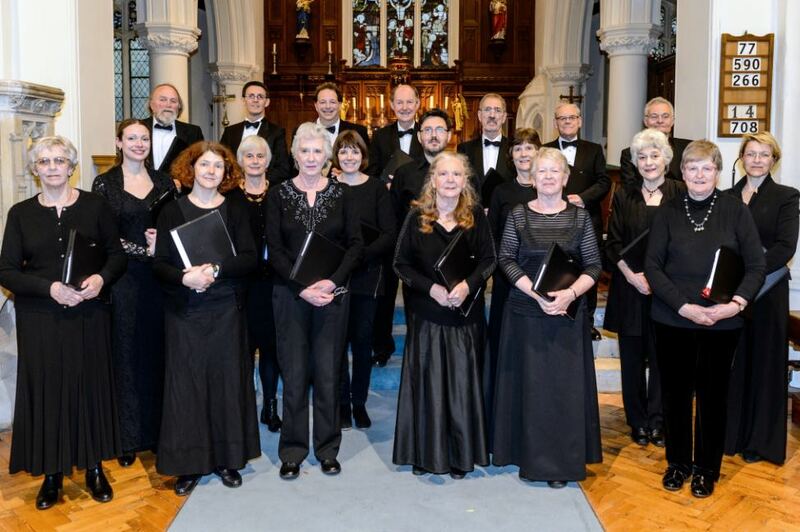 The Cantilena Singers is a well-established adult chamber choir based in Swaffham Bulbeck, East Cambridgeshire, that rehearses weekly during school terms and performs three concerts each year in and around Cambridge. The choir also performs at weddings, funerals, evensongs and other engagements from time to time. The choir often performs unaccompanied, and programmes usually mix sacred and secular music in every style. Recent programmes have included Benjamin Britten’s Five Flower Songs, Byrd’s Mass for four voices, Eric Whitacre’s Sleep, plus works by Tallis, Palestrina, Rutter, Lauridsen, and arrangements of popular songs from films and stage musicals. Cantilena was formed in 1983. Originally consisting of only 10 members it was founded by Roger Bond and Dyfed Griffiths who brought together a group of singers looking for the opportunity to perform choral works. Roger Bond also took up the baton as the first musical director and he led the choir for its first eight years. After Roger’s departure the choir was briefly led by Dyfed Griffiths who had previously sung tenor in the choir. He was succeeded by Grayson Jones, a music student from Cambridge University who took charge for a year during his studies. When Grayson left to continue his studies Robert Webb took over. He was a former solicitor who gave up the profession to pursue his passion for music. As well as conducting Cantilena he was also a lay clerk at Chester Cathedral. Over the years the choir have performed in a wide variety of venues. Mostly these are churches in and around the Cambridge area but the choir have performed further afield. In their earlier years they performed an exchange with a choir from Chiswick, and have more recently hosted the Copenhagen People’s Choir and are hoping to make the return visit. In 1987 the choir went on a tour of the region around Orsay, just south of Paris, the twin town of Ely. In 1994, Mark Dawes took over as conductor. He was a maths teacher in a local school who oversaw the choir for around 5 years. One of the regular traditions established early on in the history of the choir has been an annual retreat to allow intensive rehearsal and to concentrate on new material. This started in 1987 and originally took place at Hempsyke Hall, a magnificent hunting lodge in Yorkshire. More recently the venue for the retreat has moved to the mill at Burnham Overy Staithe in Norfolk. The choir currently consists of 18 members and has been led since 2000 by Daniel Spreadbury.